The commercial version of New World Studio is due out soon, and prices start at $20 per year for individual users, $38 for non-profits, and $64 for businesses. Both editions are by far the easiest way to set up an OpenSim world on your own computer, but the premium Licensed Edition adds some management features. I got a chance to look at the pre-release version last week. New World Studio is, at heart, a packaged version of OpenSim similar to the Diva Distro or Sim-on-a-Stick. The difference is the installer — once you download and unzip the files, you just click on New World Studio and it does everything — sets up the MySQL databases, Apache, loads a starter region, creates your avatar. It even loads up the viewer and logs you in automatically. 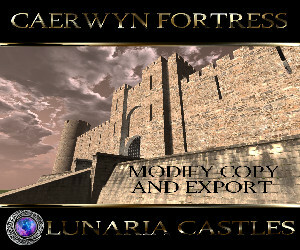 The free edition is available for Windows, Linux and Macintosh computers, and the interface comes in English, French, Spanish and German. And if a new version of OpenSim comes out, there’s an automated update process. Folks who know their way around OpenSim can still fiddle around with configuration files and do anything else they want with OpenSim, so New World Studio doesn’t take away any functionality for advanced users. There is one downside to the product, though, and that is the size of the download. Since the Community Edition comes with not just the OpenSim itself, but also Apache, MySQL, Imprudence and several starter region OARs, it’s a hefty 166 megabytes in zipped form. I would like to see an option to download the software without a viewer if you already have a viewer installed on your machine — or to have the installer download the viewer separately if there isn’t one already installed. I haven’t tested the update functionality — that will have to wait until an update is available. The Licensed Edition of New World Studio makes it easy to set the avatar name and password, pick a starting OAR and starting avatar, set region coordinates, and choose the size of the world and whether to have megaregions enabled. Initial setup screen of the New World Studio Licensed Edition. How big a world you can have — and how many prims you can put it on it — depends completely on your machine, and how many visitors you expect to have. If it’s just you, and it’s a powerful modern system, you can run 16 regions. For an average machine, four regions is a good bet. Enable megaregions if you want people to be able to move around the whole world with no border crossings. 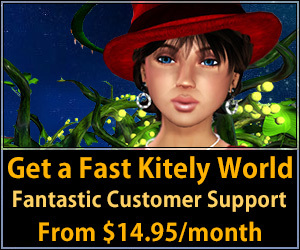 This is good for vehicles and roleplaying or if you’re building megaregion worlds for uploading to platforms that support them, such as Kitely. Turn megaregions off if you want to eventually save each region as a separate OAR file. The Licensed Edition is supposed to support hypergrid connectivity, automatically enabling routers, taking care of the networking, and dealing with the hypergrid settings. I wasn’t able to get it to work, possibly of my evil router. I could enter hypergrid addresses, but teleports failed each time. Other problems I was were minor, and will probably be fixed soon. For example, if you run the Licensed Edition, you have to find and select your license key file, which is an unusual way to do things. The Licensed Edition also doesn’t automatically launch the standard functionality of the Community Edition. You have to launch it separately, since they are two separate programs. The Licensed Edition will also have more features available in the future, including backups, viewer selection, and procedural terrain generation. Is the Licensed Edition worth it? For me, personally, the lack of hypergrid connectivity is a deal-breaker — this is the number one thing I want in a home version of OpenSim. However, if you’re using OpenSim for local building or classes, it’s a pretty good deal because it just makes things so easy. But I’m going to pony up the $20 whether or not they can get hypergrid to work on my computer simply because I want to encourage developers to work on interfaces.